If it’s summertime on CBS, it’s time to watch the world implode in the most creative of ways, just like it does in big-budget blockbuster movies. The latest addition to CBS’ stable of short-run thrillers about the impending destruction of the human race is Zoo, an adaptation of the pedestrian novel by James Patterson and Michael Ledwidge. To judge a book by its cover, Zoo is the perfect source material on which to base a paper-thin summer television series, and the show makes an appropriate companion for CBS’ similar offerings, Extant and Under The Dome. Unfortunately, Zoo matches the middling quality of those shows as much as it echoes the themes, and its premise simply isn’t interesting enough to sustain the intrigue over the course of a television season. James Wolk stars as Jackson Oz, a boozy American zoologist currently serving as a safari tour guide for wide-eyed tourists in Botswana. Jackson becomes embroiled in the mystery behind a potential extinction-level event when he and his best friend Abraham (Nonso Anozie) stumble upon packs of large cats behaving unusually and mounting offensive attacks against humans. The phenomenon isn’t unique to Botswana, as similar wild animal attacks are taking place with increased frequently worldwide, leaving scientists and animal experts befuddled. Meanwhile in Los Angeles, Jamie Campbell (Kristen Connolly) is a dogged newspaper reporter convinced the phenomenon is related to the nefarious behavior of a multinational corporation. Naturally, the mystery proves far more complicated than that, which Jamie learns upon teaming up with Mitch Morgan (Billy Burke), a curmudgeonly veterinarian who’s always been able to understand animals more easily than people until now. Working from opposite sides of the globe, the characters must discover the cause for the brutal animal attacks before humanity is unseated from the top of the food chain. Seeing Patterson’s name attached to a television project doesn’t inspire confidence, but Zoo comes from good stock. Its pilot script is credited to frequent J.J. Abrams collaborators Josh Applebaum, André Nemec, Jeff Pinkner, and Scott Rosenberg, a quartet boasting such credits as Alias, Fringe, and Mission: Impossible—Ghost Protocol between them. But the real mystery of Zoo isn’t why the world’s fauna is revolting, it’s why the pilot’s workmanlike script required the input of four esteemed writers. Despite the show’s global scope, Zoo feels awfully small, almost like the ensemble cast of a summer catastrophe blockbuster had half its population wiped out. Though the cast is unusually intimate for a globetrotting, cataclysmic story such as this one, it’s well-stocked. Connolly and Burke make for an appealing Mulder-and-Scully odd couple, though it’s a pairing that deserves better than a script in which their characters work furiously to determine why so many house cats have gone missing. Wolk, always a welcome presence, lends Zoo his rakish charm and manages to come across like an honest-to-goodness everyman despite his Hollywood pin-up looks. Wolk’s character is also drawn with the most depth, at least initially. Jackson’s Botswana sojourn is an effort to distract himself from the grief caused by the loss of his father, a zoologist who took his own life when the mainstream scientific community dismissed his theories, which appear to prognosticate the rash of attacks. But Jackson’s backstory isn’t enough to prevent Zoo from feeling too thin to fill up its 13-episode season. The show’s premise simply isn’t novel enough to warrant stretching its mystery over weeks and weeks. Patterson’s paint-by-numbers novels make for perfect summer escapism when they’re consumed on the page and can be devoured in their entirety during a weekend getaway. 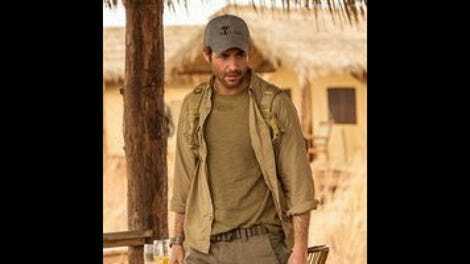 As a summer television series, Zoo has to sustain the audience’s attention over the course of 13 weeks and promise a satisfying resolution at the end. Considering the question it poses—why have all the animals gone crazy?—was handled with such verve by Alfred Hitchcock more than a half-century ago, Patterson’s twist isn’t worth waiting three months for. With more stylish and outlandish mysteries like Under The Dome and Wayward Pines competing for viewers during the summer months, Zoo feels like a bipedal creature in a foot race with a pronghorn antelope.